Looking for the final touch on your awesome pirate costume? Maybe you or a loved one just can’t get enough of anything that relates to the notorious robbers of the sea, be it toys or otherwise. You have definitely come to the right place, regardless of what the reason may be! It can be difficult when shopping online to track down an item with good reviews, at a reasonable price, made at a reasonable level of quality. Let us do that hard work for you! 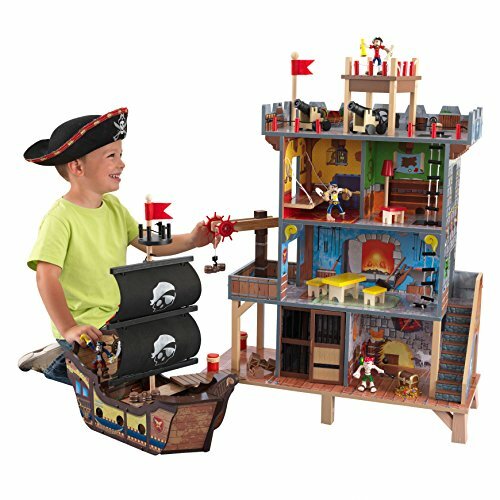 Our team finds and reviews the best pirate toys and accessories from across all of the seven seas. We’ve spent our time browsing review forums, checking the listing on shopping websites, reading customer reviews, and even more. Come aboard and we’ll give you free, comprehensive shopping guides for anything that you may need. 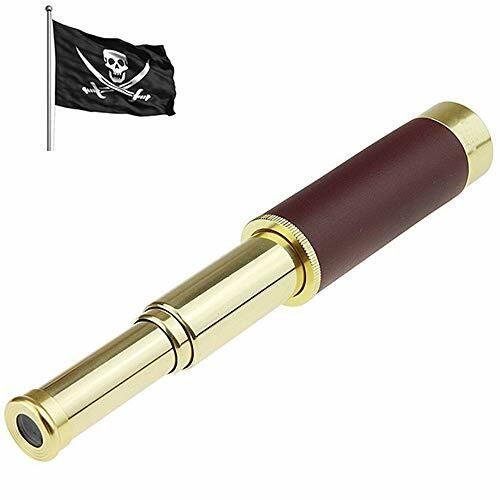 What pirate doesn’t have his own spyglass? Also known as a pirate telescope, the spyglass dates back to the time of Galileo. He used a modified version of the spyglass to discover the moons of Jupiter! During the Golden Age of Pirates the spyglass was used for many reasons. The spyglass was critical when navigating the oceans and seas of the world, mostly because it let you see further outward around the ship, but also to help identify land and ships. Pirates, military sailors, and trade merchants all took advantage of this critical tool. Since almost everything on boats at this time got wet during storms or high waves, it was critical that the spyglass was made out of brass. After a nice plunder at sea, there has to be somewhere to keep all of your new-found valuables? 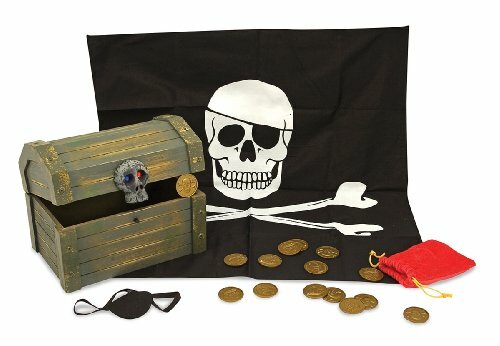 What better place than your very own pirate treasure chest! Be sure to check out our list to see the best pirate treasure chest. The buried treasure chest has become a cultural icon closely tied to the image of pirates. Popular culture has based the origin of the treasure chest more on fiction rather than history, and it can be most directly traced back to the popular adventure novel “Treasure Island” by Robert Louis Stevenson. Historians have analyzed this subject thoroughly, and the only known instance involves William Kidd. Many believe that Kidd buried his treasure on Long Island before sailing into New York City, with the hopes that his stash would prove to be a valuable bargaining chip. The British nonetheless hung him as a pirate. Set sail on your own adventure across the seven seas with your very own vessel. The pirate ship is the perhaps the most defining feature of any raider of the sea, and without one you’re nothing more than a bandit on the land! 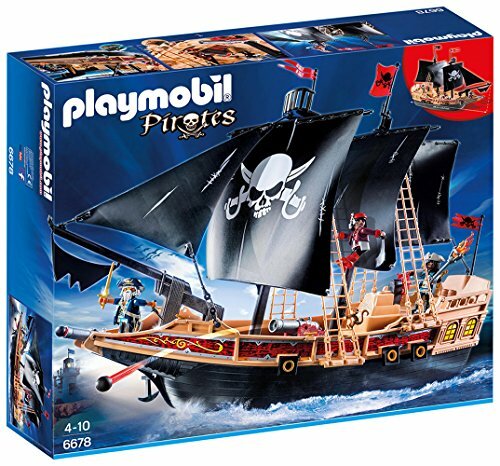 We’ve broken down our own list of the best toy boats, many of which may look familiar since they are based on some of the most famous ships in history. While not the most famous, historically the most common ship used for pirating was the sloop. This was due to its superior speed and firepower, while still able to carry cargo. For this reason the design is used as the basis for many of the toys and models commonly found today.